The ever-popular, some would say over-done, topic of ancient Egypt is covered in the Rise of Ra video pokie from EGT. Ra was the Sun God and although he doesn’t make an appearance on this 5-reel, 15-payline game, all the classic images that pokie players will be familiar with, such as the Ankh, Eye, Crook and Staff and Pharaoh are included, with some decent bonus features that can help to dig up nice wins. Free spins, wild multipliers and the Jackpot Cards progressive feature that’s found on all EGT games are added attractions that should keep Rise of Ra near the top of the pyramid of Egypt-themed online casino pokies. Reels spin against an image of the desert, complete with a couple of pyramids, and there’s a gold-effect to the surrounds and many of the symbols, giving it a richly decorated style in keeping with the theme. There’s 11 standard symbols and players will need to land matching ones across a payline running in an unbroken sequence from the left side to get a win. Control buttons below the reels are used to decide how much to bet per spin, with a low limit of 0.15, although anyone who likes to test games out before they play for real money should be able to find free Rise of Ra video pokies at most casinos. The pay table lists how much each symbol combination is worth and the lowest-value treasure chest will pay out 2x the line bet when it stops on reels 1 and 2 across an active payline, rising to 100x when it runs right across. The winged god symbol, ankh and a vase are all worth the same, but will need to be on at least 3 reels, while other symbols include hieroglyphics and the sphinx. The most valuable standard symbols however, are the Pharaoh and his Queen, who pay out 2x the line bet when landing on reels 1 and 2, then 25, 125 or 750x if either of them is on 3, 4 or 5 reels across a payline. The top awards come from the jewelled scarab beetle, and this decorative icon will be worth up to 10,000x the line bet if it stops right across a payline, while also acting as the wild symbol. Players who get a run of matching symbols across a line, but there’s a break in the sequence, could still get paid if the wild symbol is in the right place and it can also extend a win across extra reels. 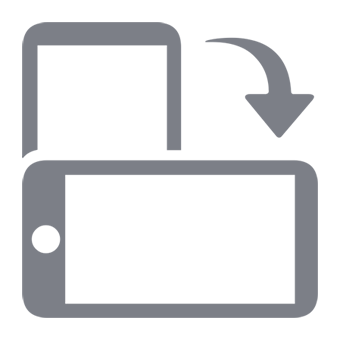 This symbol has the added attraction that it will double a win when it substitutes for any other. A sheet of papyrus with some Egyptian writing on it, overlaid with English writing that says ‘Scatter’, is a symbol that will take players to a free spins round whenever it lands on any 3 or more spots. It’s another high-paying symbol as well, worth up to 7,500x the line bet. Players are treated to 15 bonus spins, with any wins during them tripled in value, and although the games are played on a different set of reels, the overall odds are the same. The games can be retriggered, with players earning 15 more spins that are added to the end of the current round. All EGT pokies all have a couple of extra features, starting with an option to gamble wins of less than a certain amount, in this case 525 coins. If players choose to take the gamble, they will be able to double the prize by correctly predicting if a playing card will be red or black, but lose it with a wrong pick. The other common feature, but one that players are far less likely to trigger, is the Jackpot Cards progressive game, which is linked to the 4 jackpots shown above the reels. A win of the Club, Heart, Diamond or Spade jackpot is guaranteed once this randomly-triggered round is awarded, and players will need to click on 12 face-down playing cards, until 3 of a kind are found, to find out which they have won. 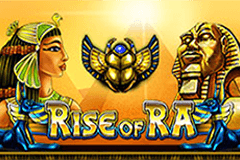 Rise of Ra takes all the familiar symbols from other Egyptian-themed pokies and throws them together in a single game. Fans of the genre will be quite happy with this however, making this a popular game. It’s also mobile-optimised, so can be played across all platforms. Those punters who are less into the theme may still want to try it out, as there’s plenty of potential for big wins. The bonus features are pretty good, but nothing special that we haven’t seen on other games.